LOS ANGELES, CA (March 26, 2018) – BOOM! 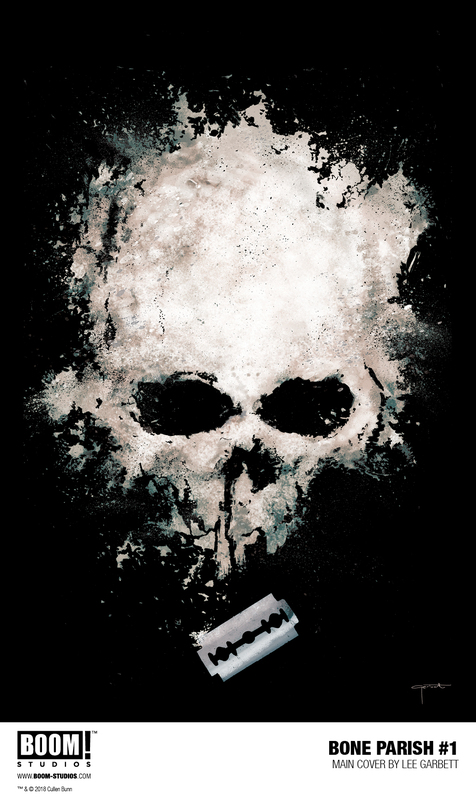 Studios is proud to announce BONE PARISH #1, an all-new chilling necromantic horror series from superstar writer Cullen Bunn (The Unsound) and debuting artists Şerif & Mustafa Karasu in July 2018. A new drug is sweeping through the streets of New Orleans—one made from the ashes of the dead. Wars are being fought over who will control the supply, while the demand only rises. While the warring factions collide, users begin to experience terrifying visions of the dead coming back to life—through them. BONE PARISH #1 features a main cover by Lee Garbett (Lucifer) and a variant cover by Rod Reis (Doctor Strange: Damnation). 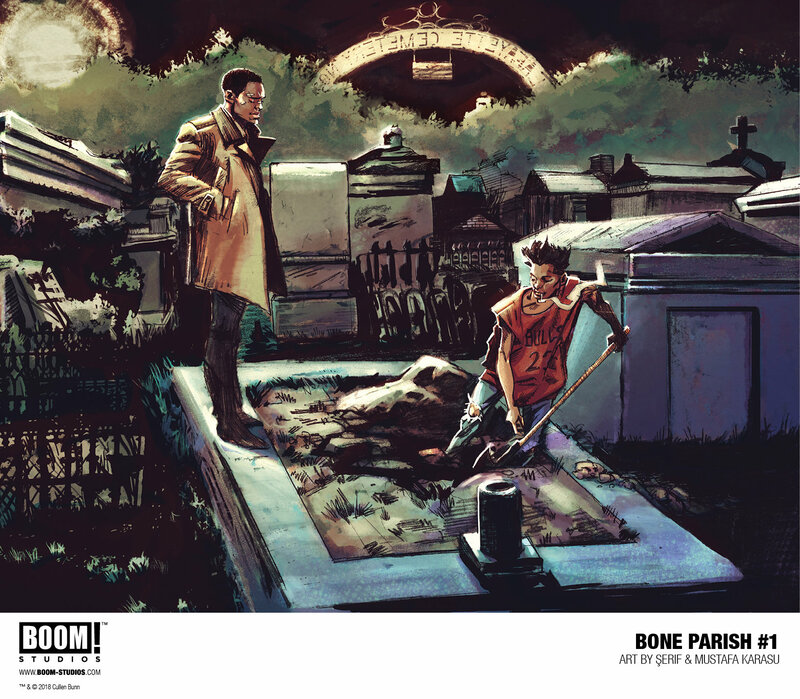 BONE PARISH #1 is the latest release from BOOM! 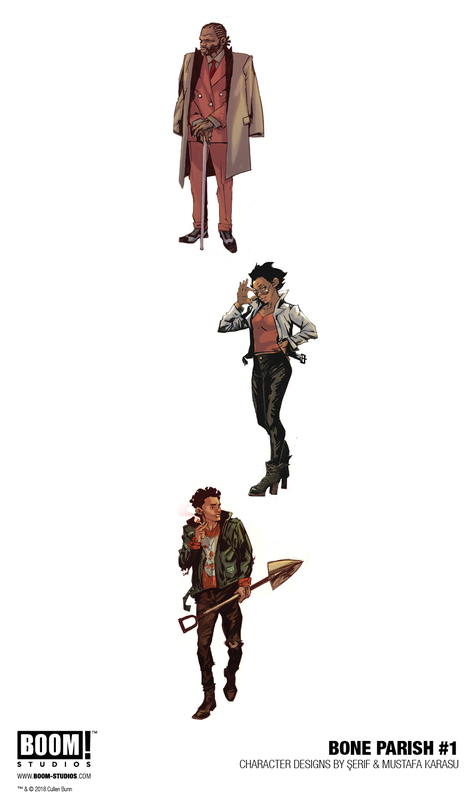 Studios’ eponymous imprint, home to a world-class group of licensed comic book series and ambitious original series, including Mighty Morphin Power Rangers, WWE, Abbott, Victor LaValle’s Destroyer, Mech Cadet Yu, Grass Kings, and Klaus. 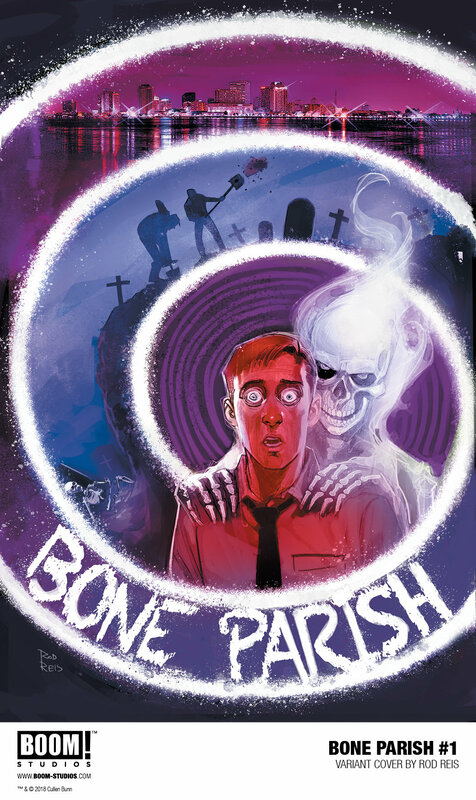 Print copies of BONE PARISH #1 will be available for sale in July 2018 exclusively at local comic book shops (use comicshoplocator.com to find the nearest one). Digital copies can be purchased from content providers, including comiXology, iBooks, Google Play, and the BOOM! Studios app.